Clear bags are now required for access to most public venues, including concerts and sporting events. 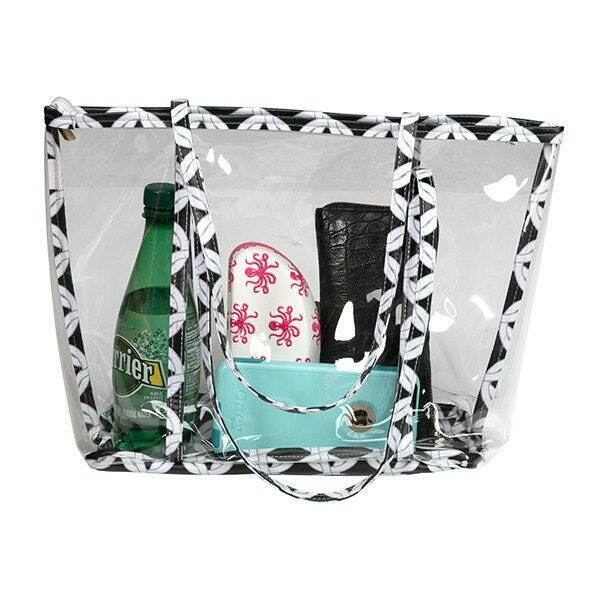 Be prepared for your next event with our Clear Stadium Tote! Bag is 12x12x4.5". It has a nylon zipper across the top with gold hardware.